The senior linebacker lost his father in April, and he made a huge play for him Saturday. It&apos;s been six months since Gophers linebacker Jonathan Celestin&apos;s father was hit by a truck and killed while taking an early morning walk in Georgia. Celestin, a senior leader for the Gophers, dedicated his season to his father. On Saturday, his interception return for a touchdown helped Minnesota beat Illinois, 24-17 to improve to 4-3 on the season – and it was a moment for a lifetime for Celestin. "All for my pops," Celestin said in a Big Ten Network interview. "Grateful." Celestin held back the tears but choked up a little bit when he said his gesture to the sky after scoring the touchdown was for his dad. "Something magical on that field happened today. Something spiritual, something of a higher power, whatever you believe in. That was Jon Celestin," said coach P.J. Fleck. "You talk about everything he&apos;s been through as a young student-athlete. What he&apos;s had to cope with and deal with and be the leader of his family. And then have a coaching change and rely on us to be the fill in for your dad. We can never be your dad, but I want to be as close to your dad as I possibly can be, and to have that trust there – that&apos;s why we coach." 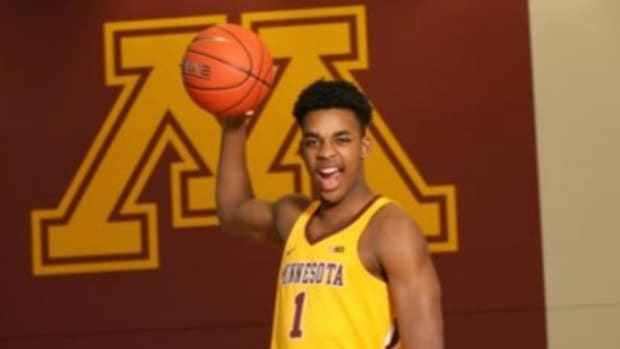 The Gophers play at Iowa next Saturday at 5:30 p.m.
Akeem Springs made just 1 of his final 12 shots against the Hoosiers. He's apparently a rebounding machine and plays solid defense. The fall was scary enough that Olympic champ Simone Biles said it would've made her quit. The win snapped a four-game losing streak for the tourney-hopeful Gophers. 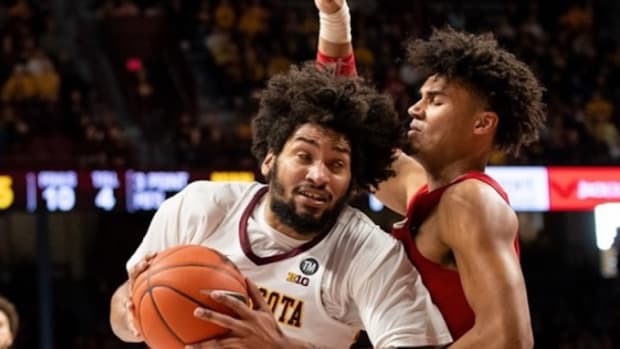 The Gophers played with Dupree McBrayer, whose mother died on Monday.